Northumberland is blessed with some of the most spectacular Countryside and Coastline in the whole of the world. We are so lucky to have so much history and wildlife to explore and enjoy. I believe that the Northumberland countryside is truly stunning, whatever the weather. Did you know that Game of Thrones writer George RR Martin used Hadrian's Wall as his inspiration for the infamous wall in his bestselling series? 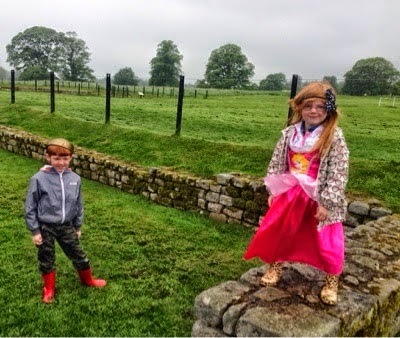 Hadrian's wall spans 73 miles across Northumberland and is home to many of our Country's finest forts and milecastles. 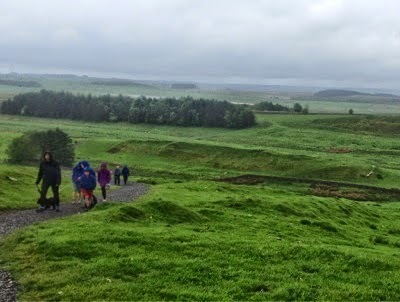 It's no wonder Hadrian's wall is so inspiring. 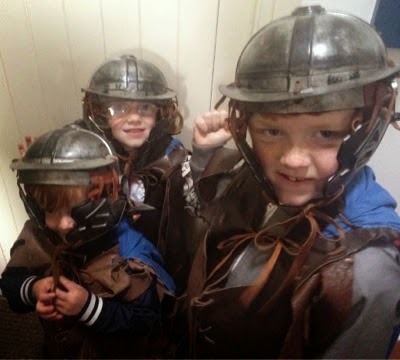 There is no place like it for capturing your children's imagination and re-living history. English Heritage run an excellent events programme along the wall which are lots of fun to get involved with. You can read more about joining in with Roman Soldier school here. Northumberland's wild countryside is also scattered with some of the world's finest castles. In fact thanks to it's turbulent past, Northumberland is home to more castle's than any other County (I think there are 45 in total so there are plenty to choose from). If castle's are your thing, make sure you follow Hannah from Mumsdays. She is on a mission to visit every single castle in Northumberland this year and I love following her progress. 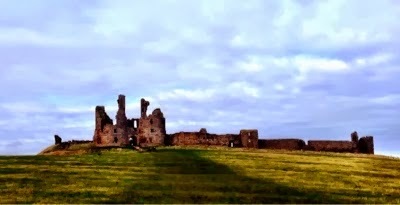 If it is a wild and rugged castle you are after, you simply must visit Dunstanburgh castle. The 1 1/2 mile Coastal walk from Craster almost feels like a pilgrimage that everyone must partake in at least once in their life. After dodging sheep and jumping over streams, you will be rewarded with uninterrupted views of Northumberland's wonderful coastline from the castle turrets. 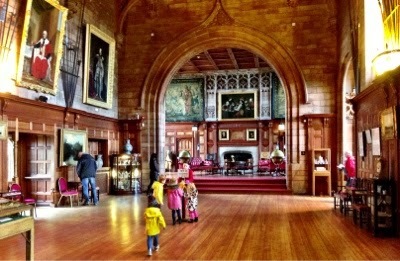 If stunning interiors and magnificent artefacts are more your thing, Bamburgh Castle is the castle for you. Lovingly restored you can see exactly what life in a Castle would have been like. There is something new to marvel at in every room. Towering above the Northumberland coastline, Bamburgh castle can be spotted from miles around. Children will love the cannons and dungeons. 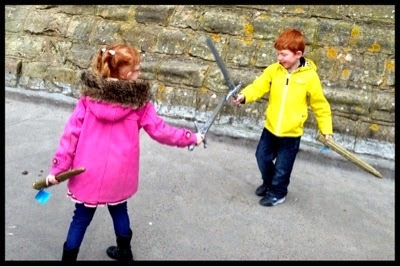 Our final recommended castle to explore in Northumberland is Warkworth Castle. Recently featured on Robson Green's Tales from Northumberland, this castle has access to a hidden hermitage that can only be accessed by boat. It is one of our favourite spots to enjoy a picnic in the Spring/Summer and is a wonderful place to explore Northumberland's wild past. Where are your favourite wild spots in Northumberland? I would love to discover some new hidden gems. Follow North East Family Fun on Facebook for more family days out. Thanks for sharing. 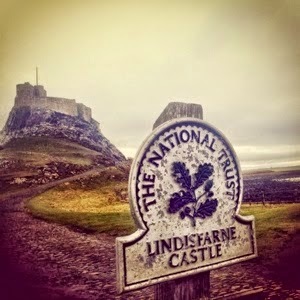 We'll be staying in a cottage in Northumberland in July and will be visiting some of these castles with our boys. What a brill post , I'm currently researching things to do around Northumberland so this has given me some great ideas for days out I can't wait! I just can't wait for Summer so we can actually spend a whole day outside without getting too cold! Very inconvenient - I wonder how many doors you'll have to knock on and explain your challenge! Not an area of the country I've ever visited - looks gorgeous! Didn't realise the hadrian's wall / Game of Thrones link either! These are all on our list for later this year! I got the new English Heritage book this week so I've been doing some planning. We've never got to the Hermitage at Warksworth Castle before so that is top of our list. This looks stunning - Northumberland is somewhere I really want to explore properly one day.